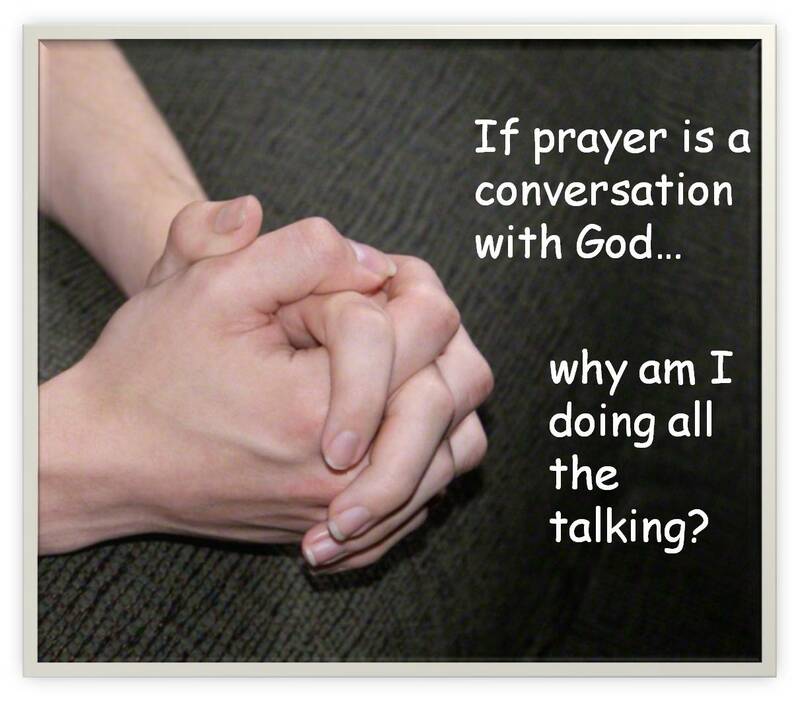 If Prayers are Conversations with God, Why Am I Doing All the Talking? Kneel at the side of the bed or couch. Thank Him for what I am grateful for. Tell Him what I want to tell Him. Ask Him what I want to ask Him. Request what I want Him to do for me or a loved one. Close in the name of Jesus Christ, Amen. Get up and get on with my day, or into my bed. I would do an abbreviated form of this during the day, if needed, usually one or more of steps 3 – 6. As I heard more about getting “answers to prayers,” I started trying to hear or look for answers in my scripture reading, church meetings, and conference talks. I also hoped that somehow I would “hear” in my mind, direct answers. At some point I realized that if I wanted to hear answers, it might make sense to listen for them(! ), and I began waiting momentarily, after I said “amen,” to see if I could hear anything. When I actually did begin hearing the Lord answer my prayers, I began writing them, so that I could remember what He told me. I have written about this much more extensively in other posts. Dearest Heavenly Father, I know that I, of myself, am powerless. Without you I am nothing. I know that you can and will manage my life effectively and help me to realize my full potential, if I let you. I turn my will and my life over to you today. Please remove my weaknesses and shortcomings if it is your will, and give me a new heart. Please help me to recognize and carry out your will in each moment. I pray in the name of Jesus Christ, Amen. It takes less than a minute to say prayers like this, so I have plenty of time to listen. Instead of 90% talking and 10% listening, these prayers are 10% talking and 90% listening. Sometimes it just feels like the right way to connect with God. Can you see steps 1, 2, 3, 7, and 11 in my sample prayer? What percentage of your prayer time is spent talking as compared to listening? What are you willing to do today to improve your conscious contact with God?